How do you keep workers connected when they are traveling from location to location? How do you ensure mobile devices accessing your network via cellular or Wi-Fi networks are secure? How do you get insight into what field workers are accessing over your network? What applications? Get your own copy of the eBook today for a comprehensive overview of best practices as they relate to field service mobility. 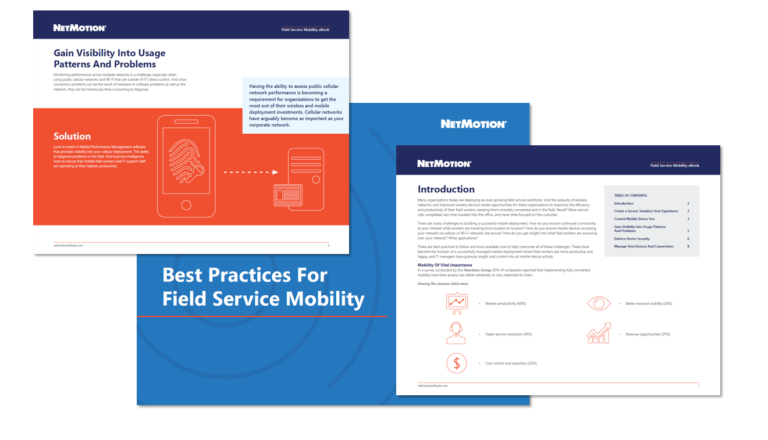 Download the Best Practices for Field Service Mobility eBook to find technology insights and tips on building a robust mobile-first IT infrastructure that is seamless for both end-users and the Support Teams that manage them.